Have you seen our fantastic nursing posters? Diversity has been an issue in the nursing workforce for decades.  It was one of the first issues tackled by the Oregon Center for Nursing after its creation. In 2002, in an effort to inspire more men to enter the nursing profession, the Oregon Center for Nursing created the “Are You Man Enough to be a Nurse?” poster. The poster was distributed to high schools, colleges, and university across Oregon. It was so popular, several states purchased the rights to the poster and created their own versions. In 2004, OCN released its next poster, “Caring Knows No Boundaries,” aimed at recruiting minorities into nursing.